Today is year two since my mom passed away. I'm so thankful to have so many wonderful memories of this woman who taught me to be the person I am today. Love and miss you very much mom. All of these challenges are within reach and they are a good mixture for me. Now to just follow 100% through with all of them, that's the key. Today I am going grocery shopping for some healthy foods. Today is day 1 of a new month...WooHoo!!! Stay strong and may the force be with you. Have a wonderful and successful July!!!! 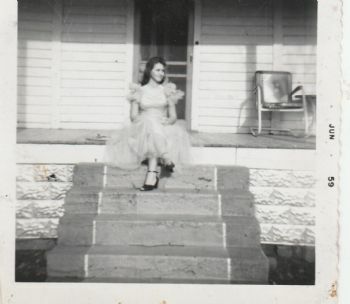 Thanks so much for sharing your memories of your mom. It was so nice! No one is like a wonderful mom's influence in your life. I'm so encouraged reading your goals for July. I blogged about my main focus this month too. It is going to be a promising month--half way left of 2018 to end better than we started. 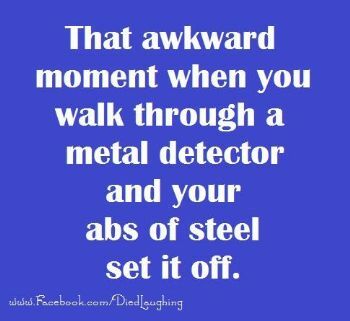 I like the idea of abs of steel setting off the metal detector. Your Mom is with you everyday, as is mine! You can do it. Have a good day! Do not think I will be setting off any alarms in the near future. Sounds like great challenges.